The final East Coast trip I will write about was sadly a bit of a disappointment. We were kind of expecting it so it wasn’t a big shock, but when we booked the trip we hadn’t really known much about it. Cape Tribulation was sold to us as being a chance to get closer to nature and see the rainforest and national parks in all their glory, it was sold to us as a completely different experience to all other trips on the East Coast and not one to be missed. Well, I’m sorry to say it but I think it was one that could easily have been missed out on. I spent most of the day feeling like I was on a school trip being lectured with fact after fact instead of somewhere I could really experience. Don’t get me wrong, I love visiting national parks and forests – I actually prefer that kind of trip a lot of the time, but I just didn’t feel we really had an opportunity to get much farther than the footpath. Nothing felt very wild about the trip, it was all so safe and so controlled. 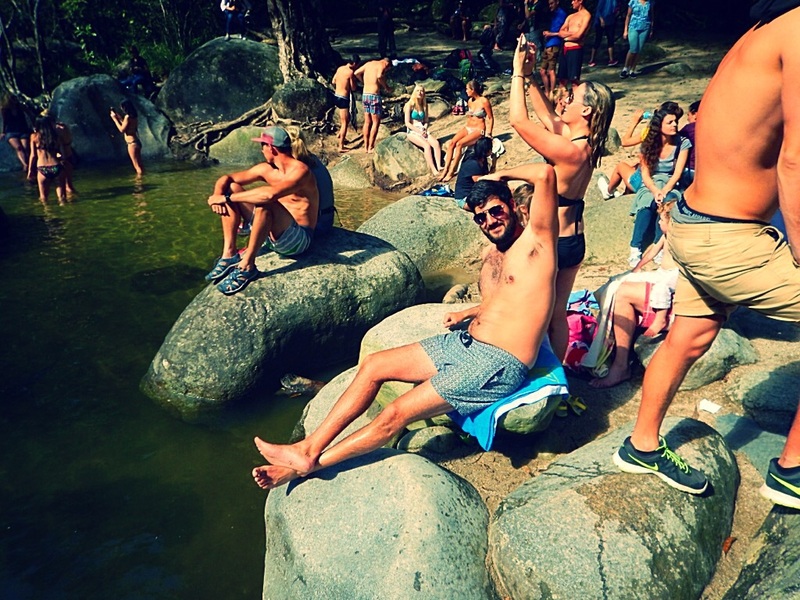 The trip cost around $187 but I really don’t think it was worth that – I would much rather have kept the money and used it to hire a car for the day to go with friends. 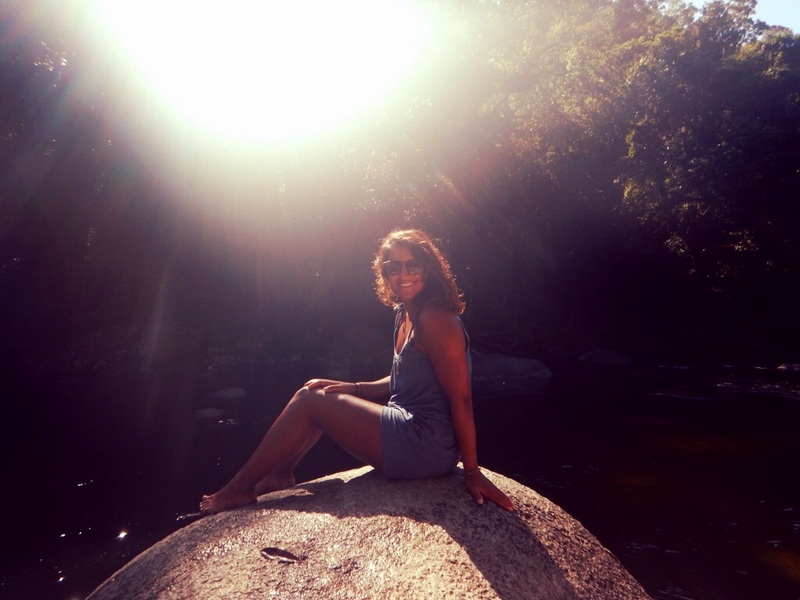 We started off early on a long drive out to World Heritage listed Mossman Gorge which was probably my favourite part of the day – I loved the setting, it was beautiful and great to start the day with a swim, even if the water was a bit cold! It was nice to have the chance to stretch our legs after the long drive, but sadly we were on a tight schedule and didn’t stay there very long.just before we had headed down to the gorge we were welcomed to the visitor’s centre by an Indigenous guide who told us about the history of the area and the Ku Ku Yulanji people who inhabit the region. It was really interesting to hear about the beliefs and the traditions of these people as I hadn’t yet had much of an opportunity to learn much about the indigenous population other than those I had seen drunk in the streets. It was so lovely to be welcomed be someone who had grown up in the community from which these beliefs came. 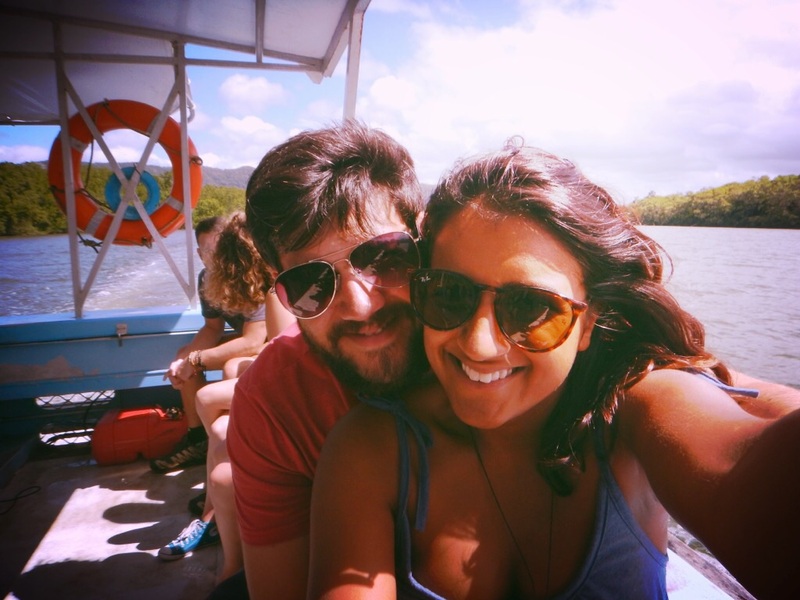 After we were finished at the gorge, we went down to the Daintree River where we were taken out on a cruise to spot crocodiles and any other wildlife along the banks. It was nice to see a different landscape for a bit, but I have to admit we were pretty bored on the boat, there were just a few things spotted – some birds and two tiny crocs that looked more like big lizards to me. After the cruise, we were off for a guided walk around the forest where our guide took the opportunity to teach us all about the different plants and the history of how they came to be in this place. He talked to us all about how the landscape emerged and how the ocean met the jungle causing mangroves – it was interesting but it did feel like I was in a lecture for university. Filled to the brim with knowledge, we headed to Cape Tribulation for lunch and to head down the boardwalk to see for ourselves where the coral reef met the rainforest. This was beautiful. And why? Because it was the wildest and most uncontrolled part of the day – we were allowed to walk down by ourselves to discover what lay at the end of the short walk and we had free time to walk around the beach and take photos. It was lovely to not be rushed and to have time to actually appreciate what I was seeing, plus it really was beautiful. The day finished with homemade ice cream and a stop at Alexandra Lookout – an amazing viewpoint from which you can see for miles. This spectacular viewpoint offers views right across the Daintree River estuary and beyond to Snapper Island and the Coral Sea. It was a lovely note to end the day on. I’ll be honest and say that I would never do this trip again, and I wouldn’t recommend it to others. While there were good points, like getting the opportunity to learn a lot about Aboriginal culture and history, I did feel like the information could have been better delivered to feel less like a lecture. It was a long day where I felt I spent a lot of time wanting more from the trip – whether it was more excitement, more freedom or less lectures. Perhaps me and that type of trip just don’t go well together, but I think if I were to return to the area I would definitely want to check out the Uncle Brian’s Fun, Falls and Forest tour, which according to some friends of ours was a great day of swimming in waterfalls and exploring the rainforest. Much more what I had in mind when I booked the Cape Tribulation trip. It totally depends on what type of trip you prefer, but for me, I would have preferred not to spend nearly $200 on the Cape Tribulation trip – I just feel there are ways of giving an education tour without losing the interest of your audience, and ours was definitely lost. Plus there was a real lack of getting the group to bond – we were just left to our own devices which meant a lot of people kept to themselves and barely said a word all day. I much prefer the trips that get you all involved from the start all day long and who throw facts at you but interweave them with fun, conversation and stories. Have you been on the Cape Tribulation trip – what did you think? 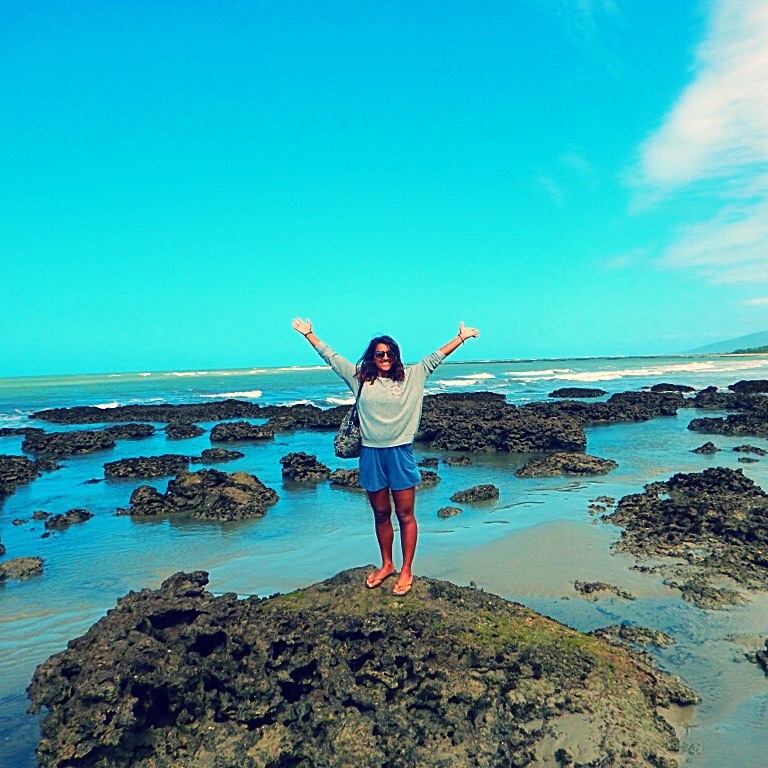 Did you do Daintree and Cape Tribulation by yourself – how was your experience? 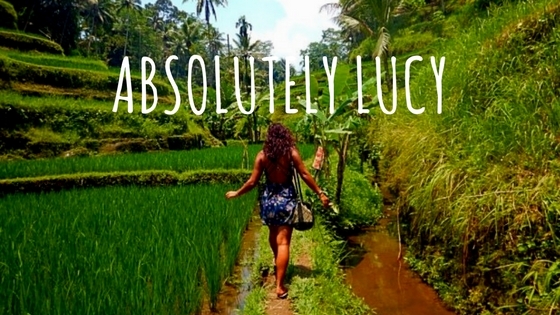 What kind of trips do you prefer?